KIA West Edmonton | Blog | How Does the 2019 Kia Cadenza Pricing Compare to Competitors? How Does the 2019 Kia Cadenza Pricing Compare to Competitors? 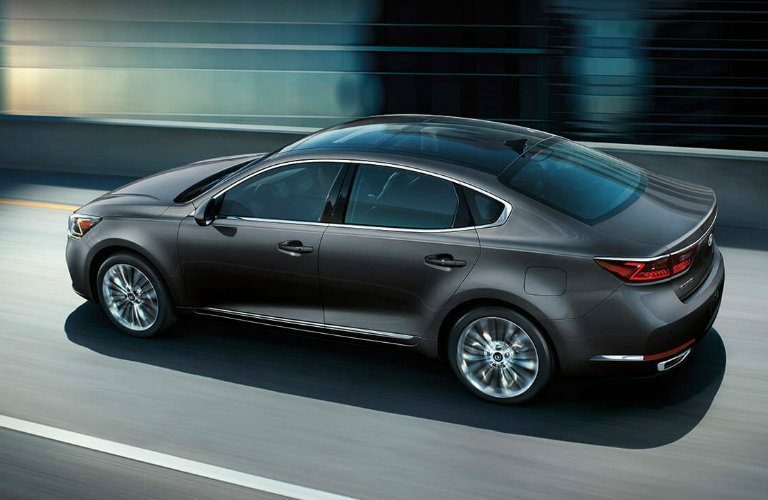 Are you interested in purchasing the excellent full-size 2019 Kia Cadenza sedan? Are you wondering where it ranks among competitors when it comes to pricing? If so, you are in luck, as the 2019 Kia Cadenza is one of the most affordable vehicles in this class. Customers in the Edmonton, AB are able to find the reasonably priced 2019 Kia Cadenza at Kia West Edmonton. Let’s take a closer look at how the pricing of the 2019 Kia Cadenza compares to the competition. The 2019 Kia Cadenza is very competitive when comparing its price against the competition. The 2019 Cadenza, unlike the majority of its competitors, features only two trim levels for customers to choose from. The Premium trim level of the 2019 Kia Cadenza features a starting price of $41,545. The Limited trim level of the 2019 Kia Cadenza is priced at $45,995. Now let’s take a look at how these prices stack up against some of the other full-size sedans on the market. There are many full-size sedans available on the market. Many of them are priced in a similar fashion to the 2019 Kia Cadenza. However, with the 2019 Cadenza being more of a luxury-inspired full-size sedan, it is best to compare the pricing of the Cadenza against other vehicles with a similar style. The table below highlights how the 2019 Kia Cadenza pricing compares against the pricing of the 2019 Chrysler 300 and the 2019 Buick LaCrosse. As you can see, the 2019 Kia Cadenza is available at more affordable pricing the two competitors.